A sheet metal part will always contain the basic flanges such as base/tab, miter and edge. Some of the sheet metal design may need a set of the same geometric flanges. 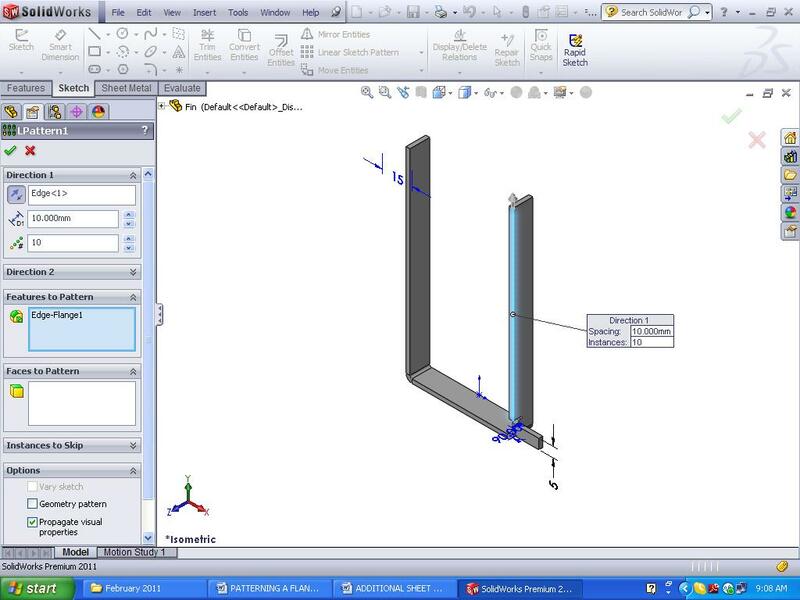 In SolidWorks 2011, these flanges are allowed to be copy instantaneously. Within this tutorial I will show you how to create a flange and pattern it. We will be creating this Fin to learn on how to use these tools. 1. 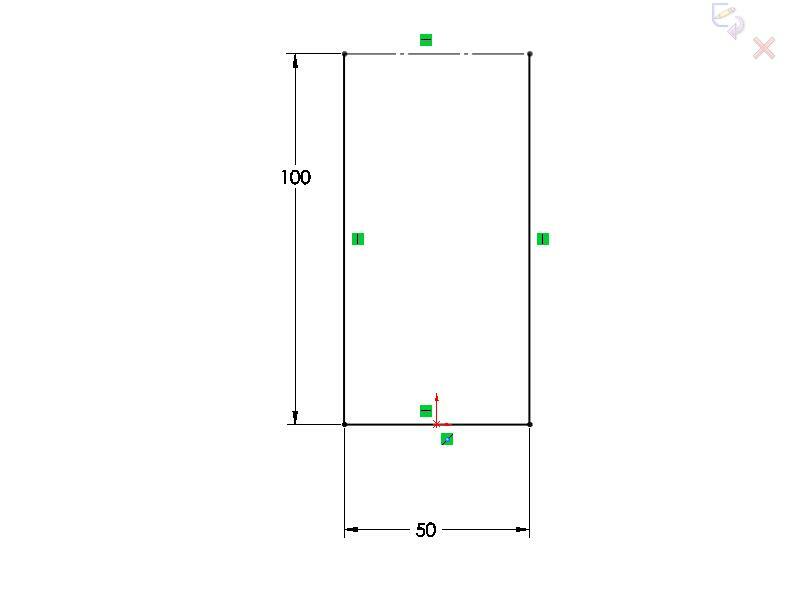 Create a sketch for a base flange from Front Plane with dimension as stated below. 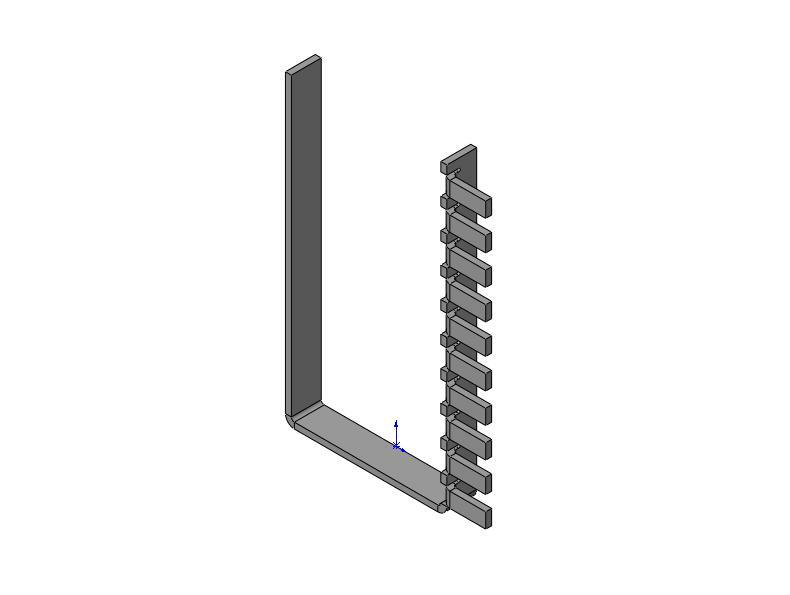 TIPS: You can always start with only one line as sheet metal do not require close sketch to create a part. 2. 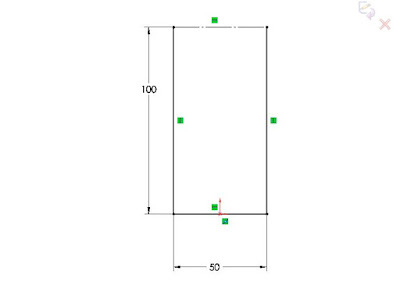 Specify the thickness and the radius of this model as 2mm and 1mm respectively. Use K-Factor 0.5 and Auto Bend Relief as Obround with 0.5 Relief Ratio. Set the direction of the thickness to be in Reverse Direction. 3. The base flange result will look like this. 4. Create the edge flange. 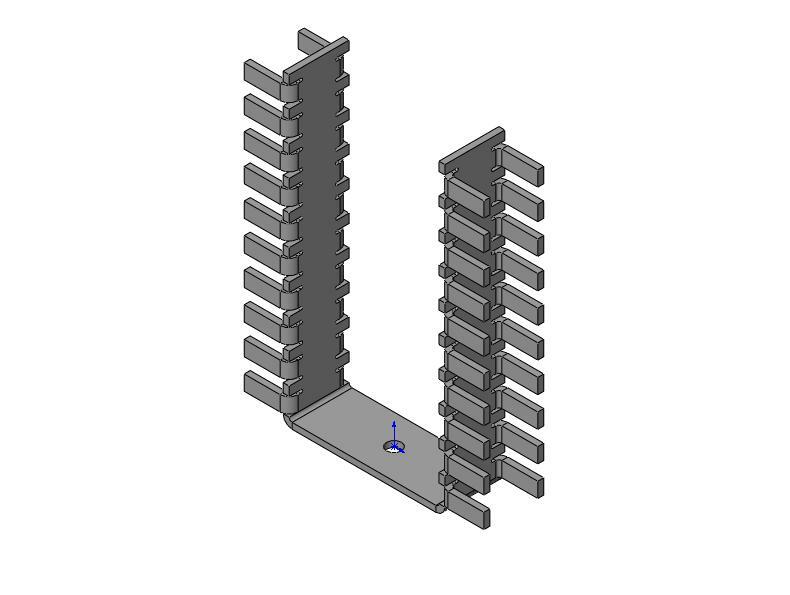 Click on the Edge Flange Features and click on the desired edge. Use parameters as shown below. 5. 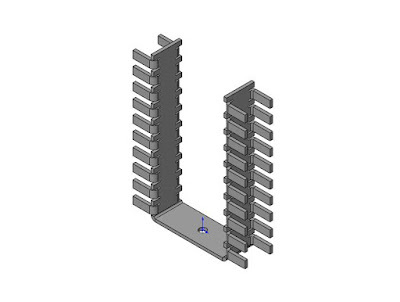 The Edge Flange will look like this. 6. Copy the Edge Flange by using the Linear Pattern. Set the parameters as shown below. 7. The copy of the flanges will look like this. 8. Then, use the Right Plane to Mirror the edge flange and the linear pattern to the other side. The mirror part will look like this. 9. Again, Mirror the whole body with the Front Plane and add a hole 5mm to the center of the part. The end product will look like this. The part then can be flattening. 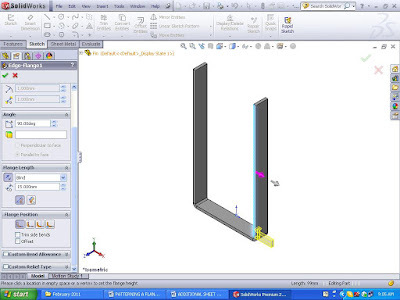 Warhamni (warhamni@cadcam.com.my) a.k.a 我爱你 (i love you)，she is the trainer for CADCAM training centre, SolidWorks Authorized training centre. Although she is the latest join member but trust me, she is good in 'playing' SolidWorks and a fast learner. She can easily answer you in no time.